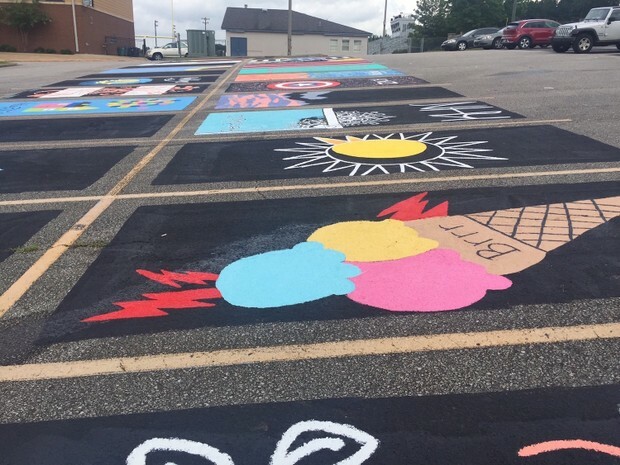 Senior “Paint Your Spot” is Friday | Gatewood Schools, Inc. Paint your Spot is a fundraiser for the Junior Class to help with prom. We have decided to lower the cost to $25 to paint your spot. You will need to pay and get your design approved prior to painting. We will be painting on Friday, October 5th after school gets out at noon. You will need exterior paint. The internet recommends you purchase the cheapest exterior paint. I checked at Walmart the other day and a quart runs between 8 and 9 dollars. At the end of the year, you will need to paint your spot black. The junior class will provide the paint and rollers. If you want you can get the juniors to paint your spot for $10. You have plenty of time to think about whether you want to paint it our hire the junior class. 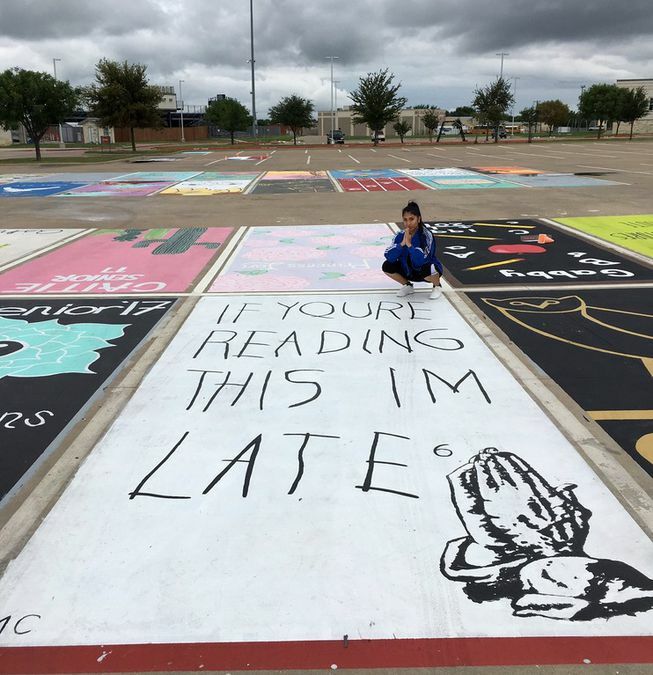 All parking spots have to be painted by Senior Exams. I truly think this will be fun and will give you an opportunity to express your self. I hope you will join us for the painting party on Friday afternoon! If you have any questions please let me know.